Gary Coben is a seasoned channel executive with more than 25 years of Sales, Management, and Telephony experience. During this period, Gary has managed revenue streams ranging from $4 million to more than $68 million annually, and managed sales teams from eight to 75 people. Prior to starting at Evolve IP, Mr . Coben served as Director of Channel Sales for deltathree, Inc. , where he was responsible for the worldwide deployment of its private-label, hosted consumer VoIP platform. Mr . Coben had direct line management of all sales, project management, and account management, with indirect responsibility for all technical, legal, network, and IT functions. Earlier in his career, Mr . Coben held several sales and channel management positions with a number of industry leaders, including T-Mobile USA, MCI Worldcom, Sprint, and ITT. 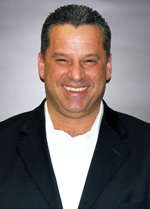 Mr . Coben’s broad range of telecom experience includes PBX hardware, Network services, Data sales, VoIP, and Wireless. An industry veteran, Mr . Coben has been a featured speaker at several industry events, including Internet Telephony, VON, GTM, and CES. He has also been quoted in several telecom publications and various press releases. Mr . Coben received his education at Rutgers University where he majored in business and communications. Mr . Coben currently resides in Newtown Square, Pa.